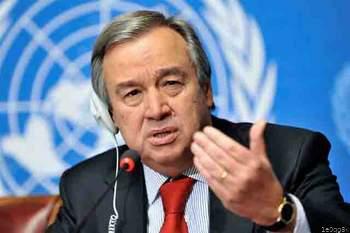 The Secretary-General of the United Nations, António Guterres, on Thursday expressed concern over violent conflicts between farmers and herders in countries across West and Central Africa, particularly the Plateau attacks that claimed the lives of over 86 villagers on Saturday. But the Amnesty International has said by failing to hold murderers to account, the Federal Government is encouraging impunity that is fuelling rising insecurity across the country. The Director Amnesty International Nigeria, Osai Ojigho, stated this in a report released by the international agency on Thursday. AI stated that its independently verified estimated figures indicated that since January 2018 “at least 1,813 people had been murdered in 17 states, which is double the 894 people killed in 2017.” Ojigho stated, “The death tolls reflect killings as a result of farmers-herders conflict, communal clashes, Boko Haram attacks and banditry. “We are gravely concerned about the rising spate of killings across the country, especially the communal clashes between farmers and herders and attacks by bandits across at least 17 states. “The authorities have a responsibility to protect lives and property, but they are clearly not doing enough going by what is happening.” Ojigho said that the matter should be investigated.